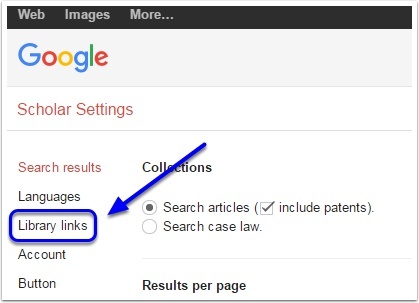 First, log into Google Scholar. If you do not have an account, click on sign in and follow Google's instructions to set up an account. And click on Library Links. 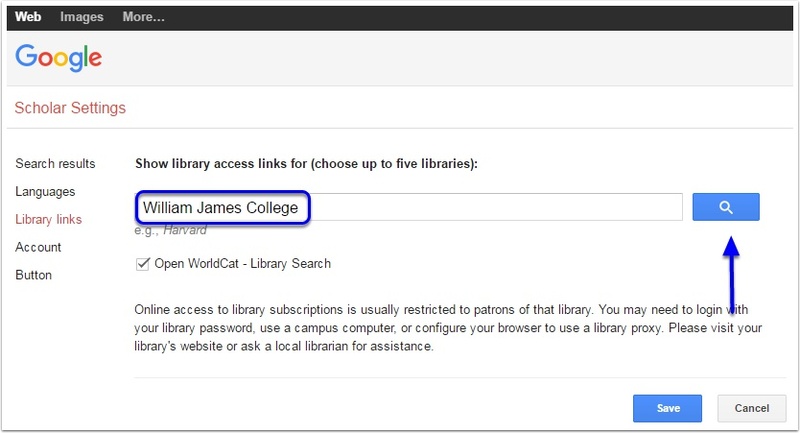 Type William James College into the box and click on the search icon. 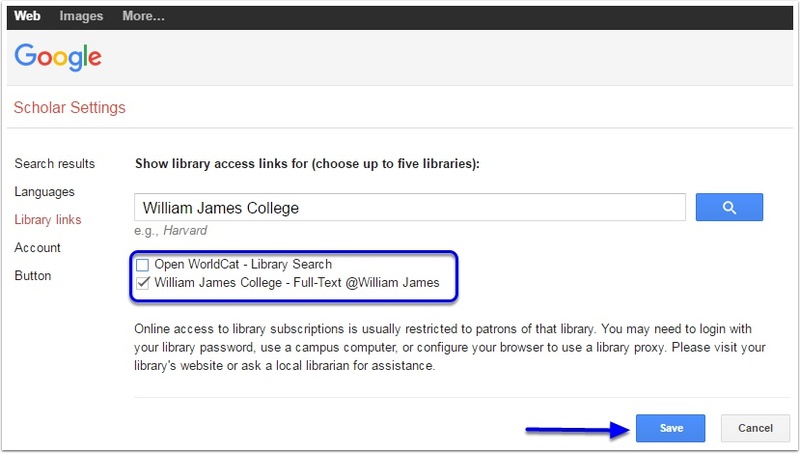 Uncheck the Open WorldCat - Library Search option and check the box next to William James College - Full-Text @William James. Click on Save. That's it! Now when you search in Google Scholar you will see Full-Text @William James next to any article we have a access to via one of our databases. Click on the Full-Text @William James link to access the material. If you are off-campus, you will be prompted to log in when you click on the Full-Text @William James link.